For the first time the jurisdiction of the Hong Kong Court, pursuant to s. 21M of the High Court Ordinance (Cap. 4) to grant free-standing Mareva relief in aid of foreign proceedings, was considered by Court of Final Appeal (“CFA”) in Compania Sud Americana De Vapores S.A. v Hin-Pro International Logistics Ltd (FACV 1/2016, 14 November 2016). 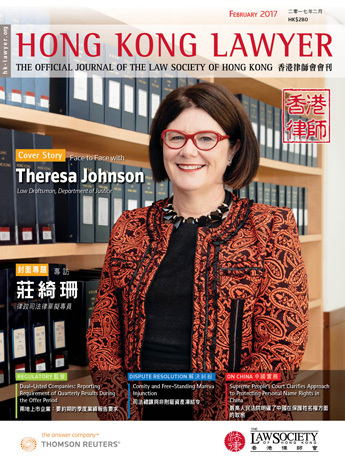 Section 21M came into force in April 2009 following the introduction of the Civil Justice Reform, and empowers the Hong Kong Courts to grant interim relief notwithstanding the substantive litigation taking place in a foreign Court. The relief granted is therefore free-standing, and not ancillary to any substantive cause of action being pursued in a Hong Kong court. The essential facts of Compania may be summarised as follows. Compania is a Chilean shipper who entered into contracts of carriage with the defendant, a Hong Kong freight forwarder. The cargoes in question were shipped from Nangjing in China to Venezuela. The bills of lading contain an oddly drafted jurisdiction clause which appears to designate the English High Court as the exclusive forum for determining disputes arising under them. The clause (the “exclusive jurisdiction clause”) was upheld by the English Commercial Court and, by the time the Hong Kong litigation reached the CFA, the English Court of Appeal. Meanwhile, notwithstanding the exclusive jurisdiction clause, the defendant brought actions in different mainland courts against Compania for delivery of the cargoes without production of the bills of lading. The mainland courts accepted jurisdiction and in some of the actions, damages were awarded against Compania. Compania applied for and obtained an anti-suit injunction as well as a freezing injunction against the defendant in the English action, brought against the defendant for breach of the exclusive jurisdiction clause. It then applied to the Hong Kong Court for a Mareva injunction in aid of the English proceedings. When Compania reached the Hong Kong Court of Appeal, the English High Court had tried the English action and found for Compania. The Hong Kong Court of Appeal, following Refco, considered if Compania had a good arguable case against the defendant (ie, the existence of a good arguable case is of course one of the criteria for the grant of a Mareva injunction). In doing so, it ignored both the fact that Compania had obtained a Mareva-type relief in the English Court and that the English Court had upheld the exclusive jurisdiction clause at the trial. Relying on Morritt LJ’s above observation in Refco and Motorola Credit Corporation v Uzan (No. 2)  1 WLR 113, another leading case, the Hong Kong Court of Appeal held that a court hearing on a s. 21M application had to “examine the strength and arguability of an applicant’s claim in the context of Hong Kong law rather than simply accepting a decision of the foreign court” ( 2 HKLRD 458, para. 32). The result was a decision against Compania on the grounds of comity. The Court of Appeal was not satisfied that if Compania brought the substantive proceedings in Hong Kong they would obtain an anti-suit injunction. The simple reason was that the dispute between Compania and the defendant had no connection with Hong Kong whatsoever, and Lord Goff’s seminal judgment in Airbus Industrie GIE v Patel  1 AC 119 meant that in such a case the Court would decline to make an anti-suit injunction. There was a conflict as to jurisdiction. 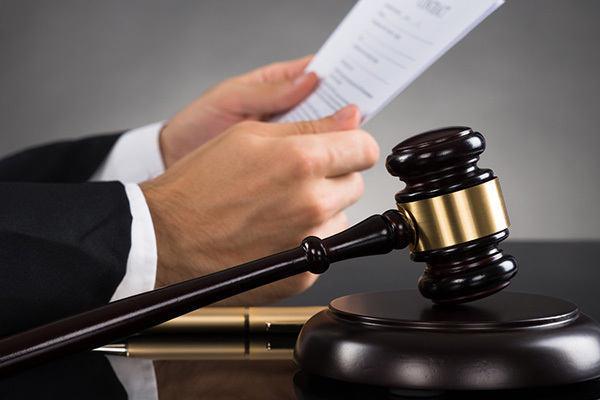 The mainland Courts had taken jurisdiction and, it appears, disagreed with the English Court on the effectiveness of the exclusive jurisdiction clause. The appeal against the decision of the English Commercial Court upholding the exclusive jurisdiction clause was pending. “The conflict as to jurisdiction is … between the outcome of the PRC courts’ application of the PRC law on the effect of the jurisdiction clause in the bills of lading and the outcome of the English courts’ application of English law on the same” ( 2 HKLRD 458, para.63). In any event, “different jurisdictions could legitimately have different rules on enforceability of exclusive jurisdiction clauses … the approach to construction of a clause may differ according to the laws of different countries … there are legitimate differences in terms of the extent to which the law may recognise an exclusive jurisdiction clause” (id., para. 60). Comity required the Hong Kong Court not to intervene in the conflict by giving assistance to the enforcement of the exclusive jurisdiction clause. “the English court is required, once issue is joined in the section 25 proceedings, to make a separate exercise of judgment rather than a simple acceptance of the decision of the foreign court in interlocutory proceedings decided on the principles applicable, the evidence then available, and the levels of proof required in that jurisdiction” ( 1 WLR 113, para. 102). This, Lord Phillips held, is incorrect. The question that “the Hong Kong Court has to consider is whether the plaintiff has a good arguable case in the foreign court” (FACV 1/2016, para. 52). Since the foreign law governs the question of whether a good arguable case exists, Airbus Industrie GIE was not relevant to the question of whether a good arguable case existed. The second error concerns the exercise of discretion. Section 21M(4) provides that an application for interim relief may be refused if the fact that the substantive claim is being litigated in a foreign court renders it “unjust” or “inconvenient” for the relief to be granted. The terms of s.21M(4) are similar to those of s. 25(2) of the 1982 Act, although the relevant words used in the latter are not “unjust or inconvenient” but “inappropriate and inexpedient”. But the distinction is immaterial for present purposes. Conflict as to jurisdiction is recognised in the English law as capable of rendering it inappropriate and inexpedient for the court to exercise the jurisdiction to grant free-standing interim relief (see Motorola, para. 115). It is clear that the Court of Appeal would have refused to grant a Mareva injunction, even if Compania had been able to establish that a good arguable case existed against the defendant, on the grounds that it would be unjust or inconvenient to do so. The Court of Appeal took the view that granting a Mareva injunction would be an intervention in a conflict as to jurisdiction between the English and the PRC Courts. This, Lord Phillips held, was misconceived. 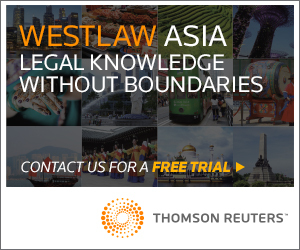 “The Hong Kong Court has not been asked to assist the English Court to enforce an exclusive jurisdiction clause. It has been asked to assist in enforcing an award of damages by the English Court for breach of such a clause.” (FACV 1/2016, para. 59). 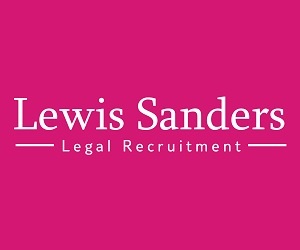 The assistance sought and to be given concerns rather the enforcement of an English judgment for breach of a contractual clause. This involves no intervention in a conflict as to jurisdiction between the English and the PRC Courts. It has not been suggested that in upholding the exclusive jurisdiction clause and awarding damages for its breach, the English court is in breach of comity. The Angelic Grace  1 Lloyd’s Rep 87 is high authority for the proposition that an English Court which grants an anti-suit injunction to uphold a contractual bargain embodied in an English exclusive jurisdiction clause commits no breach of comity. Comity, on this view, is not in issue. Lord Phillips’ starting point was the statutory purpose of s. 21M, which is to facilitate the process of execution or enforcement of foreign judgments which are enforceable in Hong Kong. As such, whether the substantive claims would have succeeded under the law of Hong Kong is unimportant. The key question is whether, if the foreign action results in a judgment, it is one which the Hong Kong court will enforce. It follows that where the foreign courts have considered the strength of the substantive claims, their views should carry weight with the Hong Kong court; but it is irrelevant whether under Hong Kong law the substantive claims would be considered meritorious. The question is whether the plaintiff has a good arguable case before the foreign court. The reasoning of the CFA here is, it is respectfully submitted, cogent. There may be a further justification for the view taken by the CFA. 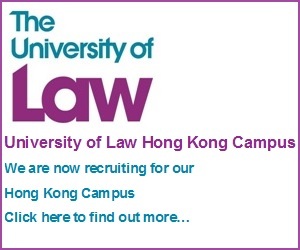 It is conceivable that an applicant may have brought claims in a civil law jurisdiction (whose judgments Hong Kong Courts will enforce) which are not justiciable under the common law. It will be absurd in such a case to require a court hearing the s.21M application to determine whether the applicant has a good arguable case under Hong Kong law. Should the Mareva injunction have been refused under s. 21M(4)? The English Court was entitled to uphold the exclusive jurisdiction clause and award damages for its breach. (The Court of Appeal accepted this.) For the CFA, this was enough to dispose of the appeal in favour of Compania in terms of s. 21M(4). Nothing in the English proceedings would make it unjust or inconvenient to grant the Mareva injunction. The Court of Appeal, in contrast, considered that the fact that the English Courts had proper jurisdiction to enforce the exclusive jurisdiction clause was far from being conclusive. The matter had to be considered from the point of view of the Hong Kong Courts, constrained by the requirements of comity and faced with circumstances giving rise to a conflict as to jurisdiction between the English and PRC Courts (the existence of which the CFA does not appear to question). The fact that the English proceedings involved no breach of comity would have neither answered the comity concerns which it had explained in its judgment nor dictated acceptance that no comity issue arose in Compania. What divided the CFA and the Court of Appeal seems to be the latter’s preparedness to take into account the broader circumstances underlying the Compania’s application. The main relief sought in the primary proceedings in England was an anti-suit injunction. The amount to be made the subject of the Mareva injunction were damages reflective of the sums that had been and might further be awarded in the mainland actions. Different jurisdictions’ approaches to exclusive jurisdiction clauses differ. In any event, the mainland courts had taken jurisdiction. In these circumstances, finding in favour of Compania and granting it the Mareva injunction sought would not have been, it is respectfully submitted, easily distinguishable from giving effect to the exclusive jurisdiction clause. For this commentator, the approach of the Court of Appeal is more convincing. It may be added that the defendant in Compania clearly has not helped itself. Both the CFA and the English Commercial Court were critical of the good faith, or the lack thereof, of the defendant’s legal actions in mainland China. Cooke J in the English Commercial Court found that there were good grounds for believing that the proceedings in the mainland had been brought fraudulently. By the time the CFA gave judgment, most of the mainland judgments against Compania had been reversed on appeal. Whatever view one takes of the different approaches of the CFA and the Court of Appeal in Compania, one is unlikely to wish that the defendant had done better before the Hong Kong Courts. Clemence Yeung is a practising barrister. He has authored a book on the law of unjust enrichment in Hong Kong and was a contributor to a practitioner’s volume on Hong Kong maritime law. He has presented professional seminars covering a variety of practice areas, including documentary credits, cross-border injunctions, land compensation and private international law.